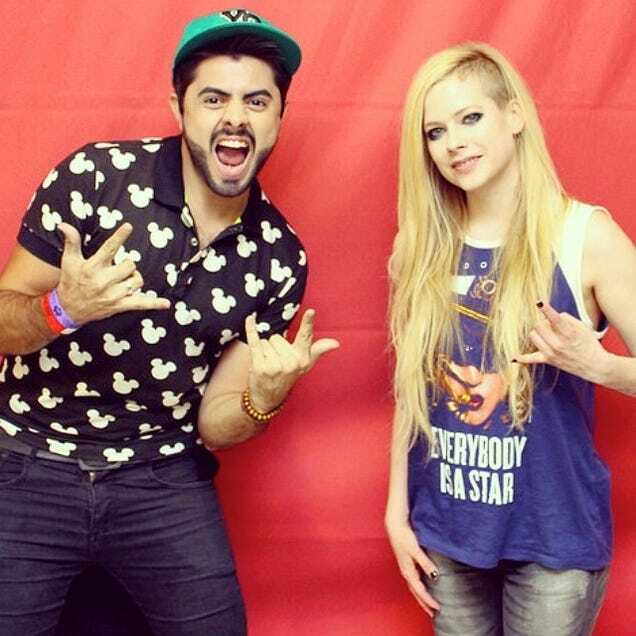 Avril Lavigne is currently touring across South America on her 30-date jaunt. For select shows, the "Hello Kitty" singer has been giving fans the option to purchase "Meet and Greet" tickets ($400, not including a ticket to the actual concert) to take a photo with her. According to Gawker, fans aren't allowed to touch or hug Avril, and are required to stand at least arm's length away from her. A possibility for this course of action could be due to a fan storming the stage during Avril's 2011 Brazilian tour. A video of the incident can be viewed here and a few of these fan photos can be found below.